I went to a Pink Floyd experience concert Sunday with a long time friend. When I say experience it was the music of Pink Floyd covered by a group of musicians that have the look, sound, and feel of the original music. 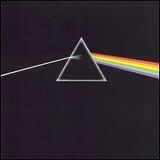 I had three copies of Dark Side of the Moon a popular Pink Floyd album. Something would happen and they would mysteriously wear out when I started putting coins on the arm of the record player to keep the needle in contact with the vinyl. The friend I went to the concert with I have known for 35 years. We used to do things together that I would consider reckless and certainly questionable where today’s good sense is concerned. The point being those days have been over for many years, decades even and here we are in the present. Today I am asking you the question; if you take an old experience put it with an old friend even if the venue is different is it possible to feel the old feelings on an emotional level? I hadn’t even had a cocktail and as soon as the music started I was back in the old days, my heart started racing, sweaty palms, and a bit of a feeling of claustrophobia. As I looked around the Kravis Center, then over at my friend, I started to calm down, I closed my eyes centered myself and enjoyed the balance of the concert. I don’t exactly know what triggered my response although it was immediate. I guess I will have to put a call into Dr. Rodier he is big on cellular communication. Funny how it all works together.